This is an area that volunteers and staff from National Trust have been coppicing over the last few months. The area is known as a PAWS (Plantation on Ancient Woodland Sites). By this it means softwood has been planted for financial reasons, changing the makeup of the wood. 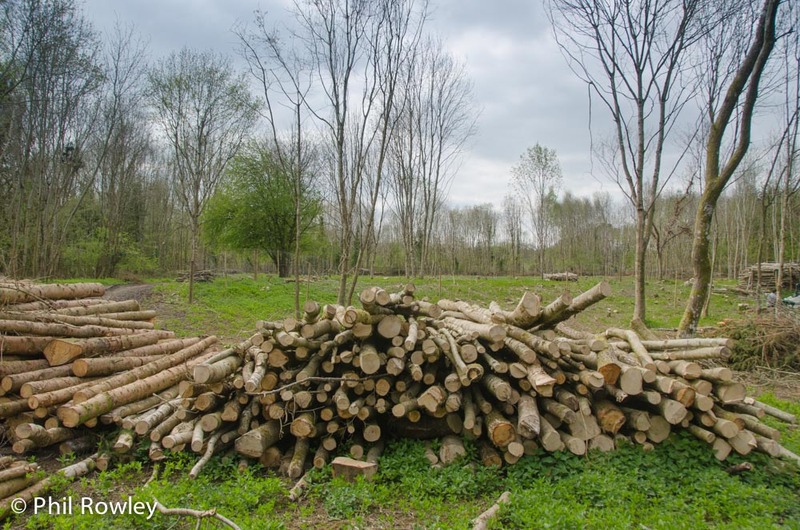 Much of the softwood has now been felled with the aim of returning the site to a native woodland. The area in this picture is hazel coppice. The idea is to cut an area each year, so you end up with different areas for different wildlife. The area has been fenced to stop deer eating the new hazel shoots. This time last year, you would have been lucky to see any sky from where this picture was taken.